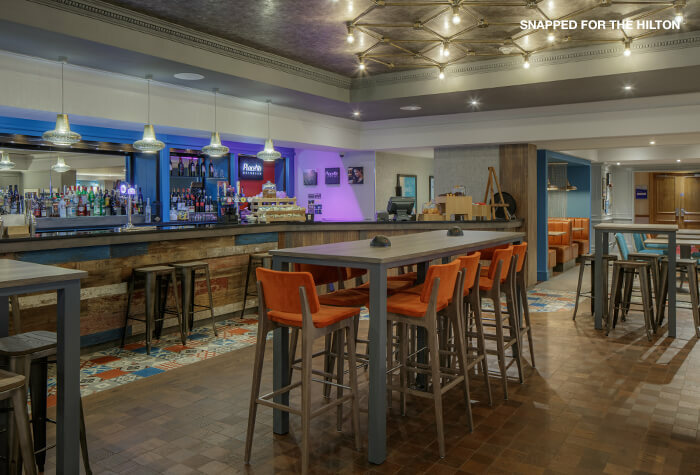 Just ten minutes away from the terminal, the Hilton East Midlands Airport Hotel is a superb hotel offering fine dining and great service. 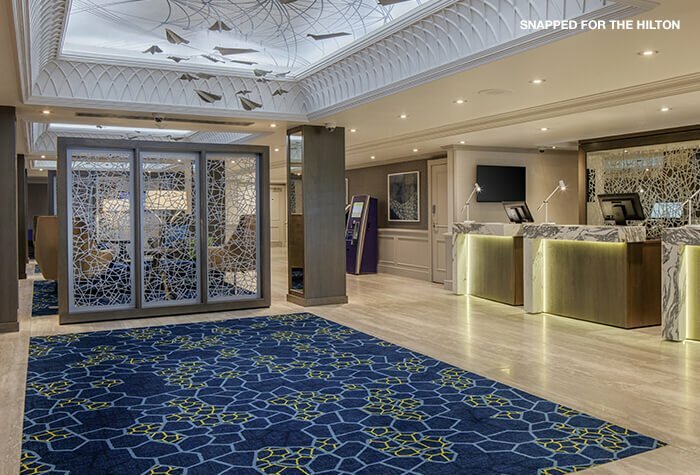 You'll be able to enjoy the luxurious surroundings before flying from East Midlands airport. 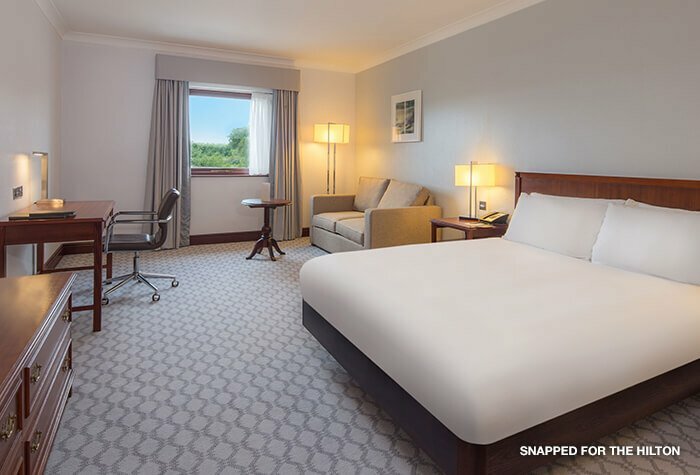 With great dining options and an excellent parking package, the Hilton East Midlands offers everything for a comfortable airport stopover at a fantastic price. The Hilton is a great choice for your East Midlands airport hotel. 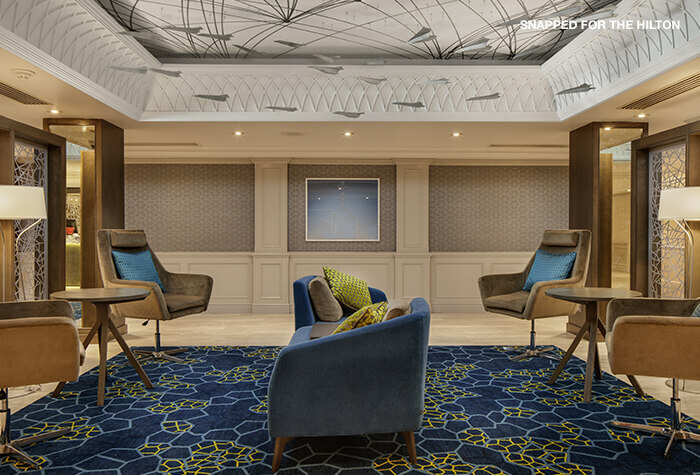 It offers the ideal setting to get your holiday started early. Things did not go smoothly. I have booked many times for an overnight stay before flying off the following day, but for some reason, I cannot understand, your web site booked me in on the day of the flight for an overnight stay and parking until a day later than my arrival back home. If I made the mistake I cannot think how, it has never happened before but your web site was not simple to operate compared with say Expedia. I was charged for this I booked overnight stay and after my contact with your good selves I got some recompence for which I was grateful. Our customers rated Hilton on average 9/10 (1108 reviews). Read Hilton reviews. The Hilton is located just off the M1, around 3 miles from the airport. The hotel can arrange a shuttle to the airport or a taxi. Both take around 10 minutes, depending on traffic, and are included in the price. Check in from 3pm and youll need to check out by 12pm. 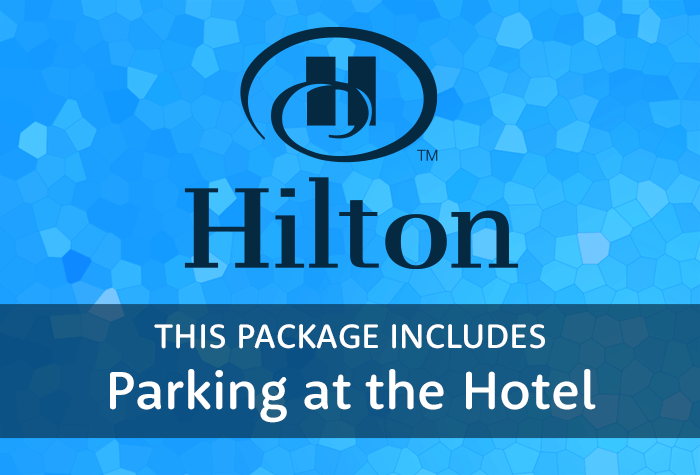 This package includes parking at the hotel for the duration of your trip. You can keep hold of your car keys while youre away as your car isnt moved. Guests say the rooms are large, comfortable and equipped with everything you need. 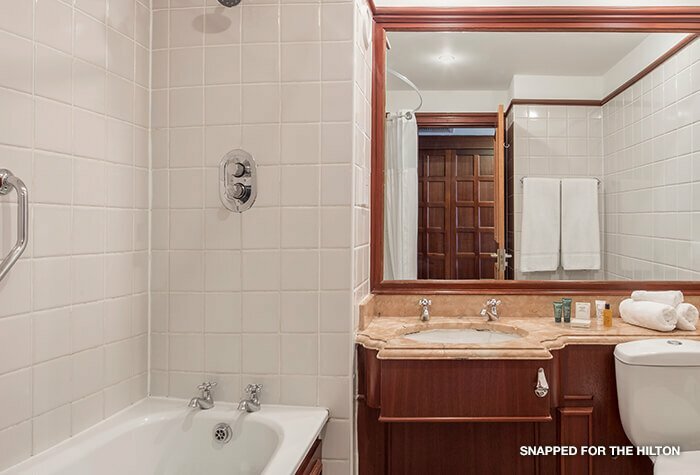 If thats not enough you can upgrade your room on the next page to a Junior Suite, which will include slippers, a bathrobe, mini bottles of wine and a snack! Wifi is £14.99 for 24 hours, unless youre a Hilton Honors member, where you can get wifi for free. 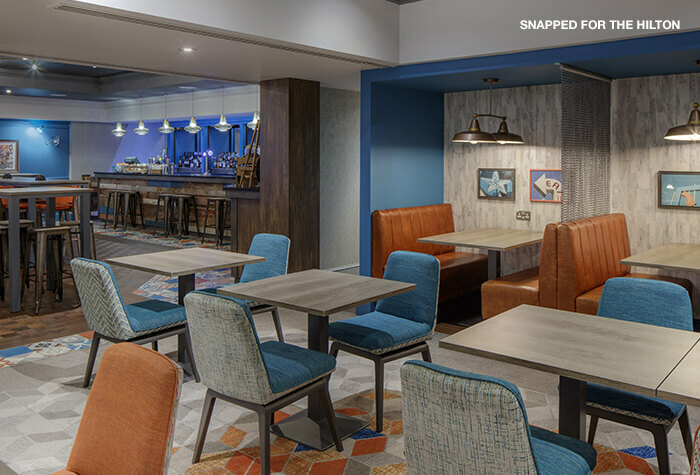 The Whisk and Ladle Bar and Kitchen has a modern and stylish decor, offering all-day dining. 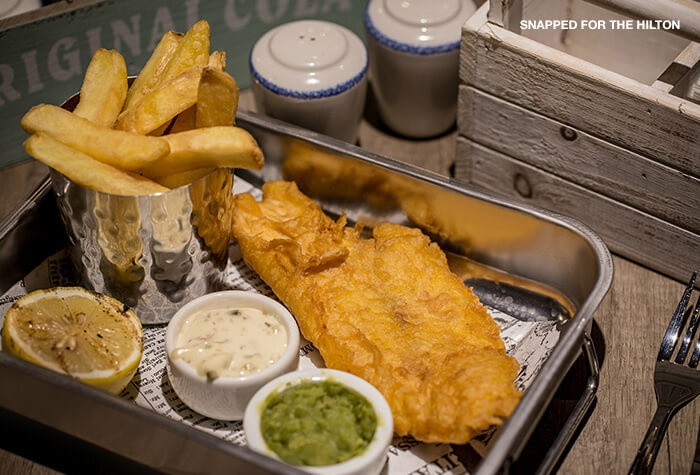 Enjoy all the pub classics, from burgers to fish and chips. An average main is £15 and they cater for dietary requirements - just speak to your waiter. 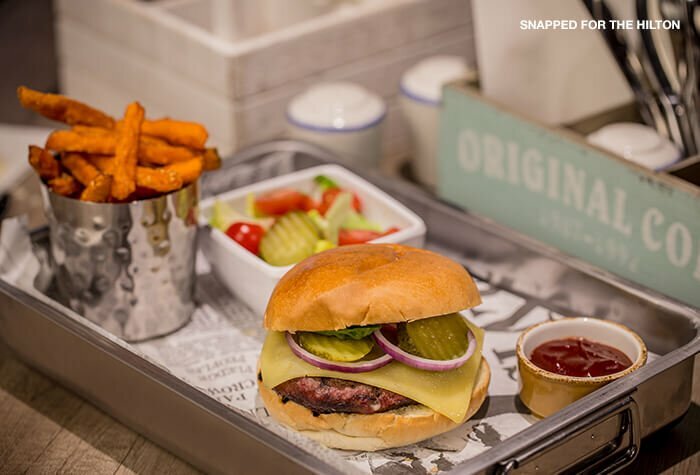 One child under 5 eats free from the kids' menu with a paying adult and children 6-12 years old can eat from the kids' menu for £10pp. Theres also a bar you can enjoy your favourite tipple in, including cocktails or Piacetto coffee. Breakfast is a full English and continental buffet, served in the restaurant. Expect all the classics like bacon, sausages and hash browns. Guests often praise it for its excellent choice. Breakfast times Served from 6.30am - 9.30am weekdays and from 7am - 11am weekends. Breakfast price £7.50 when booked through us. Disabled facilities The hotel entrance, public areas and parking bays are all accessible and it has lifts. There are also accessible rooms with emergency pull cords, inflatable chairs for assistance getting in the bath and visual alarms. Make your way to the Hilton - your confirmation email will include driving directions and a postcode for satnavs. You'll be asked to fill out a form and give it to reception to book your transfers you'll need your flight information and car reg. The hotel can book you a shuttle to the airport, which runs every 20 minutes is included in the price. Call the hotel to request a pick-up. They are available 24 hours a day and the journey is included.